At this year’s ITB Berlin the United Nations World Tourism Organization (UNWTO) will be holding a series of events for trade visitors on the topic of the Silk Road. Inside the Silk Road Pavilions in Halls 7.2 A and B, visitors can discover the mystical attraction of the Silk Road and find out why this historical route is turning into one of the world’s major destination networks. From 14:00 to 15:00 each day at the 2011 ITB Film Festival, screenings of a film entitled The Silk Road Hour will highlight the beauty of the Silk Road. Selected short films with imposing imagery will be shown at the ITB cinema in Hall 7.2. Audiences will be witness to the legacy of this historical trading route, which for many centuries joined East and West. 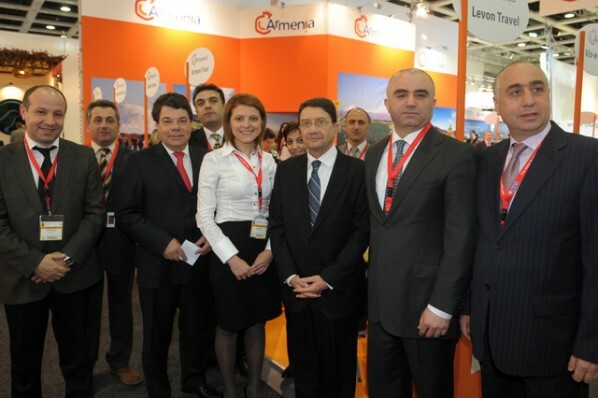 Taleb Rifai, general secretary of UNWTO, explained: “The Silk Road is a fascinating tourism brand. “Together we will show why investing in Silk Road tourism will help strengthen local economic structures and alleviate poverty. Leading decision-makers will also gather at the UNWTO Silk Road Ministers’ Summit to shape the global vision of tourism along the Silk Road. Last year UNWTO approved the Silk Road Action Plan, a joint agreement that aims to use the Silk Road brand to promote development of sustainable tourism in more than 25 countries. Speakers will present the action plan over the course of three sessions, debate marketing and social media strategies, and will discuss what measures can be taken to make travelling easier in order to boost tourism. Raimund Hosch, chief executive of Messe Berlin, is enthusiastic about the partnership with UNWTO: “I look forward to welcoming delegates from destinations along the Silk Road at the first UNWTO Silk Road Ministers’ Summit. On Thursday, March 10th, from 10:00 to 11:30, at Großer Stern between Halls 10 and 11, the Silk Road B2B Tour Operators’ Networking Event will provide information on how tour operators can promote sales of tours along this historical route. Representatives of the tourism industry at the event will be able to discuss issues concerning the most popular travel routes, as well as the easiest way to organize visas for multiple trips.